Our new 2016 version rear shock tower and the upper wishbone bracket have oval holes, where you can insert two types of oval plastic bushing. 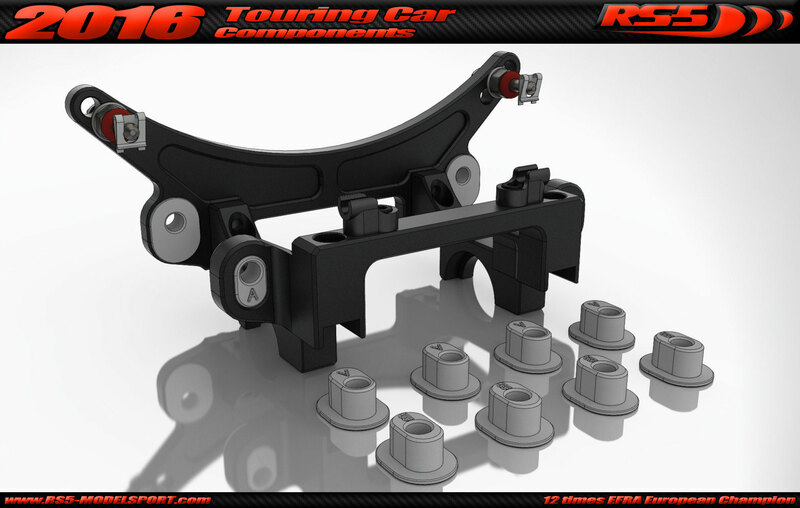 These bushings allow you to change the rear upper wishbone position by 1,5mm increments. The new rear upper wishbone brackets is standard on the T16 and Tx16 cars and compatible with T14 and T15 cars.corners. 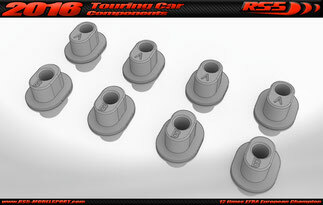 By using the 57189 Bushing (“A” Bushing) in the normal position (the “A” letter is in readable direction) you have the same rear upper wishbone position than on the T15 car. By using the 57188 Bushing (“B” Bushing) at opposite position (the “B” letter is in upside down) you have 3mm lower rear upper wishbone position compared to the basic Zero Position. This means that rear Roll-Center is even higher and you have even more rear dynamic camber change. We create two diferent types of oval bushings for our all-new rear upper wishbone brackets. You can adjust the rear upper wishbone position up and down. Two types are:Bushing “A”, ordering code 57189. 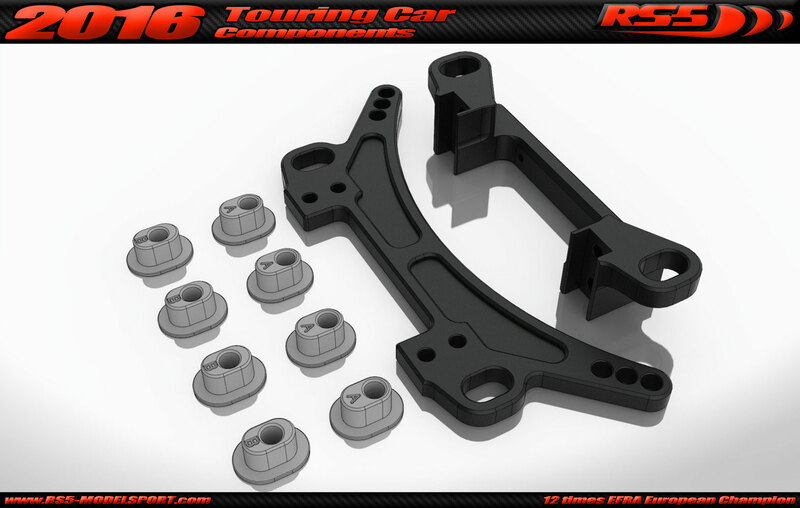 It is standard part of the T16 and Tx16 cars and standard part of the 19114 Adjustable Rear Upper Wishbone Brackets Upgrade kit.Bushing “B”, ordering code 57188. It is optional part of the T16 and Tx16 cars and standard part of the 19114 Adjustable Rear Upper Wishbone Brackets Upgrade kit. By using the 57188 Bushing (“B” Bushing) at normal position (the “B” letter is in readable direction) you have 1,5mm lower rear upper wishbone position compared to the basic Zero Position. 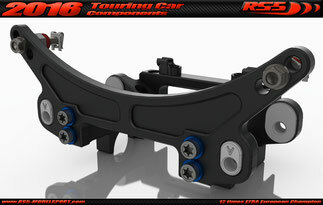 This means that rear Roll-Center is higher and your car has more rear dynamic camber change. By using the 57189 Bushing (“A” Bushing) at opposite position (the “A” letter is in upside down) you have 4,5mm lower rear upper wishbone position compared to the basic Zero Position. This means that rear Roll-Center is very high and you have now quite dynamic camber change.